Hans-Adam II is the reigning Prince of Liechtenstein. He is the son of Franz Joseph II, Prince of Liechtenstein (1906–1989) and his wife Countess Georgina von Wilczek (1921–1989). He also bears the titles Duke of Troppau and Jägerndorf, and Count Rietberg. 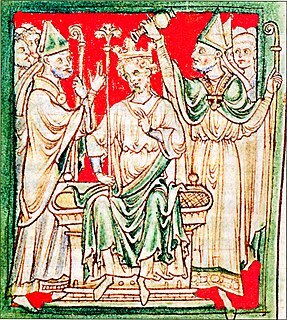 Hans-Adam is the richest monarch in Europe. Franz Joseph II was the reigning Prince of Liechtenstein from 1938 until his death. A constitutional referendum regarding the Prince’s powers was held in Liechtenstein on 14 March 2003. The referendum had two questions; a "Princely Initiative" and a "Constitution Peace Initiative". The first question passed with 64.32% in favour and the second question was rejected by 83.44% of voters. Alois, Hereditary Prince of Liechtenstein, Count Rietberg, is the eldest son of Hans-Adam II, Prince of Liechtenstein, and Countess Marie Aglaë Kinsky of Wchinitz and Tettau. 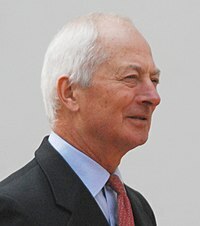 Alois has been regent of Liechtenstein since 15 August 2004. He is married to Duchess Sophie in Bavaria.